The definition of customer service has changed considerably over the 20+ years of my career. Many moons ago, I worked at the help desk for a major airline. Customers used to call in to request credits when a flight was late or for meals (yes, at one time they used to provide full meals on all flights). Back in the early nineties, it was customary to tell a customer “no”, and you didn’t even try to soften the blow—you just came right out and said it. There were even times when we asked a customer, “which part of no didn’t you understand, the n or the o?” We used to laugh about it and thought we were doing the right thing for the company—boy were we wrong. Yes, back in the nineties the options for goods and services were limited, and of course, Amazon and even the Internet did not exist. Today, customers have choices. It takes mere seconds to read consumer reviews before making the decision to drive to a store, pick up the phone or place an order online. 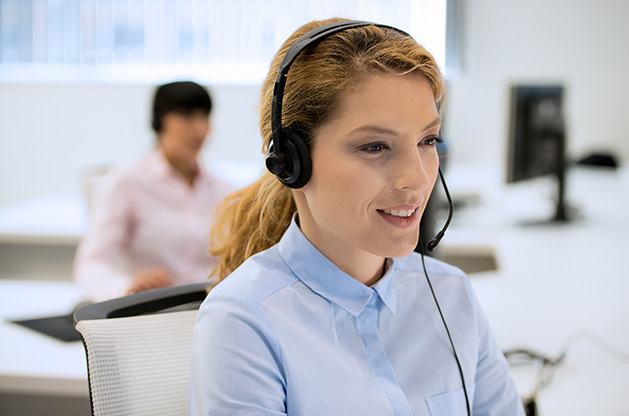 So, why is customer service so critical today? It’s often the only differentiator between two like companies. Each company may offer the same products or services for similar prices, but what causes a customer to pick one over another is great customer service. In fact, a Walker study found that by the year 2020, customer experience will overtake price and product as the key brand differentiator. A great example is the retailer Nordstrom. They are known for their stellar customer service. From their return policies, floor assistance, to their catalog calls. It’s the simple things that make each interaction personal: calling you by your first name, carefully packaging your goods, coming around the counter to personally hand you the merchandise and inspecting online orders to ensure accuracy. All these little things make the customer feel like they are the most important person at the time. What causes customers to leave? Customers frequently leave because of bad service. Yes, price and quality of goods are also a factor, but customers are actually willing to pay more for good and services—16% more in fact, to have a better customer experience. Thankfully, businesses have come a long way from the days of questioning customers comprehension of the word “no”. Fast-forwarding to the present age of the customer, we’re much wiser, and more thoughtful and considerate in our approach to customer service. Listen and connect. Customers—especially dissatisfied ones—just want to be heard and know they have your full attention. Really listening and establishing a true emotional connection during each and every customer interaction is key. Follow through. Whether you’re communicating with a customer in person, on the phone or via email or chat, ensuring you set clear expectations for next steps for each incident is crucial. Regardless of whether you can immediately rectify the situation, the steps you take to get there demonstrate they are valued, and you’re fully committed to addressing their needs. Be accessible. Just like customers have options for goods and services, they want and expect to have options—when and however they choose—to reach you. It’s incredibly important to have a seamless, omnichannel service experience where customers can communicate via phone, chat, social media, text and email. Provide self-service. Customers are all about convenience and that means your digital experience needs to be up to par. Self-service customer portals that enable customers to easily access and control the critical functions of their account are essential. Online community forums and website support documentation also provide customers with the ability to find the answers they need—any day or time—putting the control in their hands. With 81% of companies expecting to compete mostly or completely on the basis of customer experience in 2019, taking the time to reevaluate your approach to customer service and applying the lessons you learn along the way will be well worth your efforts. Isabella (Izzy) Runyan is the Senior Director of Service Assurance at Windstream Enterprise where she is responsible for the Elite Network Operations Center, Data Service Assurance and Incident Management and customer support teams. She joined Windstream in 2004 and has more than 20 years of experience in the industry.